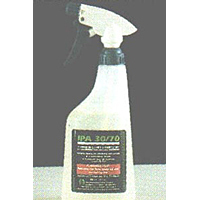 Surface cleaner and decontaminate. Cleans and sterilizes at the same time. Residue free drying. Features » Cleans and sterilizes at the same time.